Chandail's Traditional Projects have been stitched in their entirety and so are fully revealed. The number of kits vary depending on the project and are mailed every 4 weeks. Canvas design by Brenda Stofft. 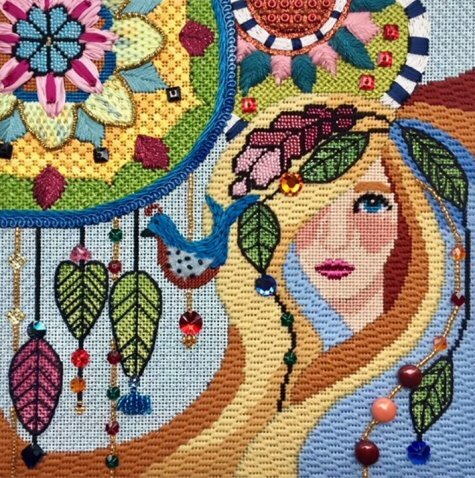 A stunning and unique design that has been brought to life by Kathy's stitches and incorporation of beautiful threads, ribbons, trims and many crystals. Don't miss out on this fantastic fully revealed project. Two kits complete the project. We have finished her with an easel back so she may sit anywhere you would place a cherished photo. 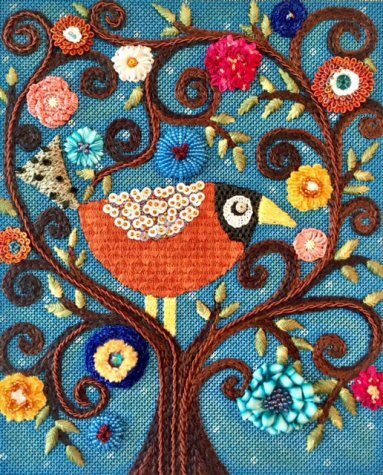 SPARKLING POLLY SITS ON A FANTASTIC TREE THAT IS BLOOMING WITH EXTRAORDINARY FLOWERS. 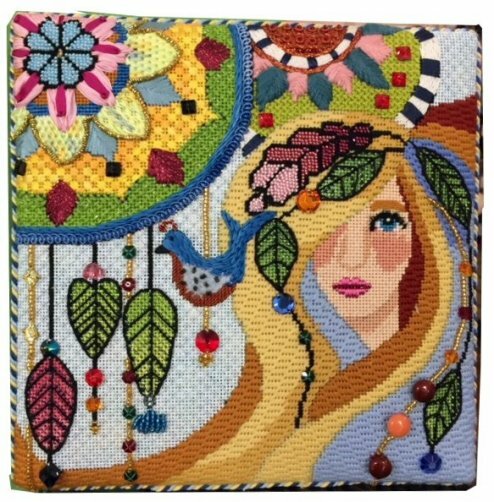 BRILLIANTLY STITCH DESIGNED BY KATHY KULESZA! KATHY HAS UNIQUELY INCORPORATED THE NEWEST THREADS, RIBBONS, TRIMS, BEADS AND OTHER EMBELLISHMENTS THROUGHOUT. CANVAS DESIGN BY ARTIST KARLA GERRARD OF MAGGIE AND CO.
4 KITS COMPLETE THE PIECE! KIT 1 INCLUDES POLLY, KIT 2 THE BACKGROUND, TREE AND LEAVES, KIT 3 GROUP 1 OF THE FLOWERS AND KIT 4 GROUP 2 OF THE FLOWERS. 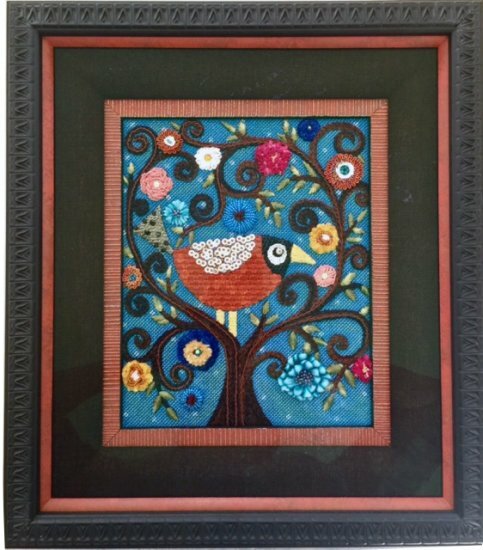 WITH LOTS OF PHOTOS AND DIAGRAMS, CINDY HOWLAND'S STITCH GUIDES WILL EASILY WALK YOU THROUGH KATHY'S STITCHES.